One day last month, I read an article on How to Save Your Kid from Drowning. It was very interesting. The signs of a drowning person are not what you think it will be. Rather than flailing around, the person basically holds very still. The statistics are staggering; about half of the children who drown each year do so within 25 yards of their parents or another adult. If you do not know what drowning actually looks like, you definitely need to read the article above. 1-2 weeks after I shared this article on the Chronicles Facebook page, we were at swimming lessons. I sat watching my children and the other children goof around in the pool. Suddenly our teacher swam a mad dash to a boy who looked to be between the ages of Brayden (10) and Kaitlyn (8). She pulled him from the pool as the lifeguard got to the edge. I asked her if he had been drowning, and she confirmed that yes he had. I was looking around and didn’t notice it was happening even after I had just read the article. I would hope that if it had been my child and I knew the child’s normal behavior that I would recognize it for what it is. 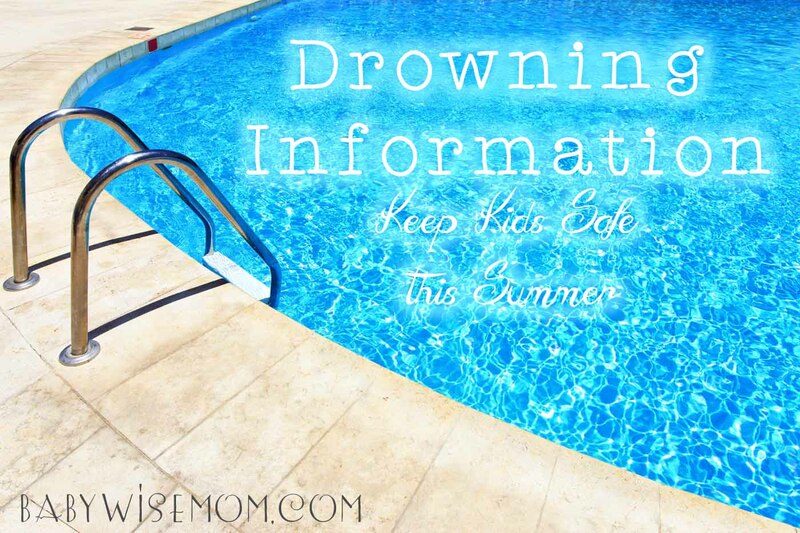 There are two other types of drowning that you will want to be aware of. They are dry drowning and secondary drowning. These both can happen when the child is not in even in the water. They are both rare, but do both happen. It can happen one hour or 24 hours later. You can read more at Dry Drowning: Know the Signs and Dry Drowning and Secondary Drowning. I don’t share these things to spread fear or make you paranoid, but to make you aware. It is good practice to have your children close to you if they are unable to swim the length of the pool alone. Do not think a flotation device will be a perfection protection. After you go swimming, watch for unusual behavior. Keep your kids safe this summer.